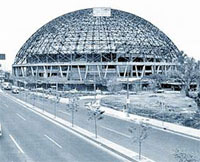 Toreo de Cuatro Caminos was a major arena located in Naucalpan. It was the home building of the LLI/UWA promotion, which was occasionally referred to as "El Toreo" in reference to this building. This page was last edited on 20 October 2016, at 19:49.